At the end of 2010, the governing board of the CERN Pension Fund decided to adopt a capital preservation approach in their investment strategy; the objective was to move away from the classic 60/40 model and follow an absolute return objective. The fund started to invest in alternative investments via direct investments. Encouraged by a positive performance in 2011, the fund has since increased this allocation, a decision which was also supported by independent analysis by the fund's risk consultant. Furthermore, as many Swiss institutional investors still hesitate to engage in alternative investments, it came as a surprise for most insiders when Geneva-based asset management company Argos Investment Managers secured seed capital for two of their new funds from Swiss pension funds. A lot of pension plans realize that nowadays it is not very safe to be in bonds. There are also issues with equities. Long only equity funds were a disappointment for many investors over the last decade. Even though the outlook for equities might be positive in the long term, the volatility can have negative short- to mid-term side effects on the pensions’ funding ratios (asset-liabilities). When it comes to withstanding volatility, pension plans are in a very different position from family offices, banks or other investor groups. Alternative investments should be considered to complement the traditional asset mix, both as performance contributor and also to help reduce the portfolio volatility. Are pension plans always long term investors? The idea that pension plans are very long term investors is a simplistic view of the reality, because at the end of the day they are in an annual mark-to-market business, just as most hedge funds are in a monthly mark-to-market business. Pensions need to calculate their funding ratio at the end of the fiscal year, and specifically in Switzerland, when the ratio is below a certain threshold, measures have to be taken to cover the gap. Also for that purpose hedge funds are particularly attractive, because they reduce the risk of underfunding given their “absolute return” nature. Why is Mercer, one of the world’s largest investment consultants with $4,000bn of assets under advisory, favoring hedge funds as part of an institutional asset allocation? Are hedge funds an alpha generator or a smart beta generator? What do CERN Pension Fund's asymmetric return solutions look like? What does CERN require from their external managers? 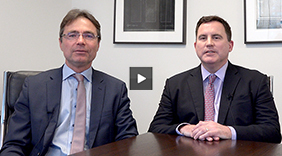 How do pension funds address tail-risk? Behavioral biases around real assets: why can liquid outperform illiquid? What is the average holding period of institutions? How long term are they really? What is the “Wealthy Nations” approach to bond investing? What can global hedge funds learn from South Africa? Have we gone too far? Can the next Brevan Howard, SAC Capital (or whoever) emerge in the regulatory environment of today? How can a hedge fund manager start a reinsurance company and create a regulated vehicle that raises assets prodigiously to deliver his skills, with a virtual certainty to outperform his flagship fund with the same strategy for $100,000 in setup costs? What happened to funds of hedge funds in Geneva? How is traditional Swiss Private Banking doing? What kind of artist would Picasso have been if he had no paints, no brushes, and no canvas?